It seems that the world is getting crazy about internet security, and there’s a good reason why. Data theft is something that we all should be aware of, and protecting our identity while we browse the internet is the best way to prevent our personal information from leaking into the web. Today, we will be talking about the features that Cyberghost VPN brings like P2P, torrenting and a lot more. Without further delay, let’s talk about that! If you have been born way before the internet was invented, then there’s a huge change that you practically grew up knowing how to “torrent” files through the internet. Torrenting is another way of distributing/collecting files through the internet. There’s a lot of misconception about how torrents work and the most common mistake is that people think that when you download files through torrents, you are getting that file directly from one source. But the truth of the matter is that the torrent file is rather a distribution system which works like an index that contains information of the content rather the content itself. What does this have to do with VPN’s like Cyberghost? People will be able to torrent anonymously through Cyberghost VPN by going into the user interface and licking the “Torrent Anonymously” box. By doing so, this will automatically connect you to an available server and help protect you from malware and unwanted harmful files. We do still advise to use Antivirus softwares to protect you from viruses and malware along with your VPN for added security. Once the “Torrent Anonymously” button is clicked users will be able to see additional features that can be manually changed to their liking. Launch an additional program – On the uppermost part of the page, users will be able to change the settings to have your browser operate in incognito, custom defined, or nothing at all. Block Malicious Websites – Users will be able to turn this feature ON/OFF to block malicious websites. Of course, we strongly recommend having this turned ON always as we sometimes could never tell a legit website from a scam one until it’s too late. Extra Speed – This button should not be here in the first place. Every user of Cyberghost VPN is entitled to the fastest servers in the pool. This means that the button should be taken out since this feature cannot be turned OFF. Block Online Tracking – This feature is great for buying airline tickets. Why? Because you will be able to surf websites without them tracking your surfing behaviors; why airline tickets? Because airline websites often use online tracking to read and analyze your surfing behaviors and use the information against you and sell you expensive tickets and let you think that you will miss out on their expensive offers. If you are unsure of what features you have turned ON or OFF, you can always undo any changes made by clicking the “Rest to default” button. The Torrent window is very easy to navigate and understand. Their ability to provide direct and easy understandable features is what makes Cyberghost one of the best entry-level VPN’s out there today. Topped off with an awesome pricepoint that cannot be easily beaten, people would have no problem trying out their services without breaking the bank. Shown on the sreenshot above is the actual “Anonymous Torrenting” feature at work. As you can see, the server chosen by Cyberghost is Tokyo, Japan with CG’s IP showing on the right hand side along with the running time. After you see this on your Cyberghost panel this means that you will not be able to go ahead and start torrenting. Easy, right? With the mentioned features above, users will now be able to torrent their files through torrent websites without having to think about security issues. But aside from these features that can be tweaked, the website also provides fixed settings that everyone can take advantage of if they use Cyberghost VPN. 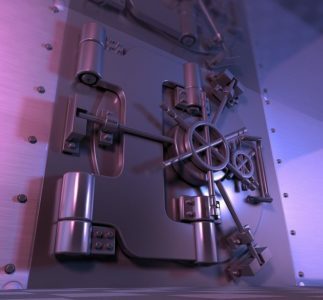 Top of the line encryption – Did you know that the military uses a 256-bit encryption? That is the same encryption level Cyberghost uses. This ensures that their users get the best protection in the world! Cyberghost IP mask – The user’s identity will be hidden and with Cyberghost’s IP. When people on the other end tries to detect their IP, the one on the other end will see the identity of the website and not the personal IP address of the user. No Logs – The website claims that they do not save logs of their customers that can be potentially used against them through advertisements and other annoying and security-threatening instances. This is really important as people would be so bummed out knowing that the company they trust that would hide their identity and information are the ones that are stealing it. IP-Sharing – IP sharing isn’t as bad as it sounds. Yes, each user will be sharing a familiar IP address thus expanding the security for everyone. This also does not mean that users will be able to share files through P2P since they share the same IP address. IP sharing is strictly used as a security protocol. Kill Switch – This built-in feature can literally save you if the VPN connection drops unexpectedly. In an event that the VPN servers have any issues, the kill switch automatically closes all programs/windows running to prevent data leaks. This can be turned on by manually or automatically once the servers are back up. Leak Protection – This is a general feature that most of the VPN services provide nowadays. Nonetheless, Cyberghost VPN offers leak protection for DNS leaks, IPv6 Leaks, and Port Forwarding Leaks. One-click VPN Connection – As easy as it can get, connect to a server with just one simple click. Smart Rules – This feature is for advanced users who want to customize their VPN. Best Location – That allows you to find the fastest server for torrenting. If only that can be applied in everything that we do today! As much as we would like to think that VPN is legal all throughout the world, we could not dictate country laws. VPN’s cannot or are banned in countries like the United Arab Emirates, China, Turkey, North Korea, Russian, and Saudi Arabia. General – Users will be able to manually adjust the settings for the account through the “General” tab which contains the ability to automatically run at system startup, always run the profile, and install updates. You will also have the ability to change the Language through this tab. Available language is: English, German, French, Italian, Polish, Romanian, Russian, and Spanish. Exceptions – The exceptions tab contains adding host IP addresses and removing and adding exceptions. Please be advised that this only works with Open VPN. Proxy – Proxy servers can be tweaked here including options for Socks5, HTTP, and Authentication type: None, Basic, and NTLM. 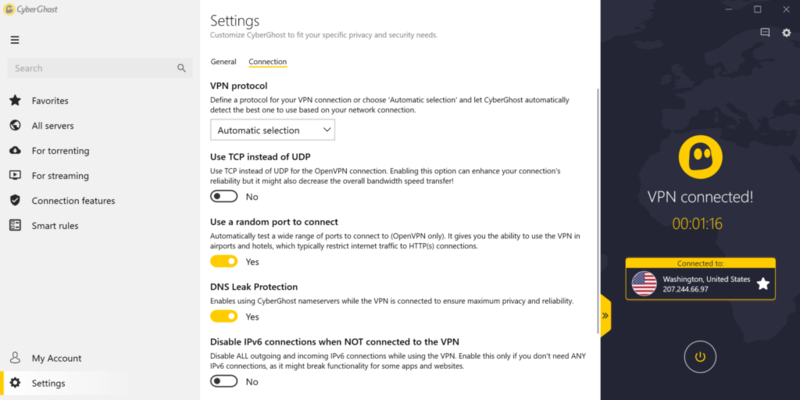 Connection – VPN protocol can be changed here from Auto, Open VPN, L2TP, and IKEv2. Wi-Fi – Users will be able to change the default settings for unknown Wi-Fi networks and choose between Always Ask, Never Protect, and Always Protect. App Protection – The App Protection tab contains the ability for the user to enable the app protection and select a connection profile they prefer. What are people saying about their features? It is really important to know what people are saying regarding the website as to give you guys an idea on whether to trust them or not. We have looked into a lot of “alleged negative” reviews about the website and cannot find anything concrete that we will be able to share with you guys. That is why we would like to ask you guys to please share negative experiences with the website so that we will have an idea on what they are behind closed doors. So far, we cannot provide you with any concrete evidence that their website does not deliver what they are supposed to. The services provided by Cyberghost VPN are pretty worth the price points that they offer. If you want something that protects your identity while you browse the web and at the same time does not puncture your wallet every month, then this website should be on the top of your list.